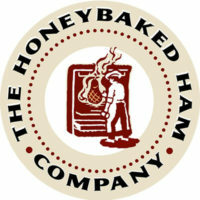 HoneyBaked Ham is a restaurant franchise that offers both dining and catering options. They are known for their signature smoked ham products, as well as side items that can be eaten in-store or taken home in family-sized portions to heat and consume. This company was founded in 1957 in Detroit, Michigan by Harry J. Hoenselaar. He developed a specific process for cooking and cutting the meat that became widely popular. After many years of expansion, the headquarters was moved to Alpharetta,GA in 2011. There are currently over 400 locations, some franchised locations and some company-owned. They employ thousands of workers nationwide, even taking on as many as 12,000 extra hands during the busy holiday seasons. They continue to sell over 400,000 hams annually through their online market alone. Brand recognition sets them apart when it comes to sales. Full-time employees are offered medical, dental, and vision insurance through the company. They are also given an annual raise or bonus. Meals are free for all employees during their shift, and 50% off otherwise. Free hams are given to employees who work a full shift on a holiday. Many employee reviews laud the free food received during each shift. The work environment is said to be positive; the tasks performed in the stores are very straightforward, and ample training is provided to give employees the ability to rotate tasks. They feel that advancing in the company is easily attainable. How old do you have to be to work at HoneyBaked Ham? Anyone 16 and older is eligible to work for the company. If an individual is between 16 and 18, they may operate a register and assist with food prep and cleaning. They must be 18 to operate a knife or meat-slicing implement. Management positions are also reserved for those 18 and older. There are many positions available for hire here. They have constructed a team to manage and perform operations both in and out of the stores. They place an emphasis on customer service and adhering to their company performance standards. Store Associate: A Store Associate is responsible for completing tasks within the store such as heating and preparing food, serving customers, operating the register, and keeping their workspace neat and tidy. They are the frontrunners of the customer service experience. Seasonal Sales Associate: A Seasonal Sales Associate assumes the duties of a Store Associate to aid regular employees during busy holiday seasons. They are responsible for all of the above tasks. Catering Delivery Driver: A Catering Delivery Driver is responsible for transporting catered meals to their venues. They can use their own or a company vehicle to perform their deliveries. They may also be asked to help set them up when needed. Assistant Manager: An Assistant Manager works in the store to aid the General Manager with daily paperwork, directing workflow, implementing company policy, and maintaining quality standards. They act as a liaison between Associates and customers and their upper management. General Manager: A General Manager is the highest position offered within the store. They are responsible for overseeing all activities in the store, plus attend continuing training to implement the newest merchandising and sales strategies. They may be promoted to GM through a company-owned store, or become one by purchasing a franchise location. Store Supervisor: A Store Supervisor assumes all responsibilities of the General Manager while they are away. They are second-in-command for store operations. They are allowed to make executive decisions on behalf of the General Manager. Franchise Business Consultant: These consultants provide operational support to many different franchise locations. They perform audits, help direct sales and merchandising, and ensure the franchise is operated to company standards. Business to Business Sales Consultant: These consultants travel to different locations, marketing the product and maintaining catering accounts. Digital Marketing Specialist: A Digital Marketing Specialist facilitates marketing campaigns and handles email marketing operations. They design and distribute media within the company and to customers and other businesses. IT Helpdesk Associate: An IT Helpdesk Associate installs and maintains hardware for each store, as well as provides user support for technology issues. When applying for any of their positions, it is important to include relevant experience you may have had through previous employers. Thy request prior management experience through either food service or retail when applying to be an Assistant Manager or above. Being a family-oriented company, their focus is on delivering excellent service to their customers. Therefore, when applying and interviewing, it will be beneficial to highlight experiences when you have provided such service. On your resume, you will want to list skills that are relevant to the position to which you are applying. For instance, if you are applying for a management position, make a point to list the leadership roles you have fulfilled in your professional experience. If you are applying as an hourly store employee, list roles and responsibilities that exemplify teamwork and customer service. Be friendly during the interview, and ask the hiring manager how they strive to meet these service standards as an individual and a store. If you are applying for a job outside of the store, such as Sales or Marketing Consultant, it will help to get to know the company before going in for the interview. A lot of interviewers will ask why you applied with them. Their enthusiasm about you will mirror your enthusiasm about the business; that enthusiasm is the cornerstone of a successful marketing campaign. The culture at HoneyBaked Ham is very friendly and service-oriented. Rotating through tasks with team members creates a lively and productive atmosphere. The training received for each position is said to give everyone the confidence to work independently and as a team. The fast-paced environment ensures there is never a dull moment. The hours are flexible, and the pay is standard for their industry. The company received news recognition in 2015 for consolidating three factions of their business. The three separate divisions were operating in Ohio, Michigan, and Georgia; as a result, operations were not totally congruent between them. After deciding to merge, the three previous Operating Officers now serve on an executive board for the company, in order to keep operations fair and centralized. This company is known for operating on a system of values. They are particular about how every one of their customers are treated. They are known to uphold individual and team integrity in all of their business practices. They are dedicated to quality, and they don’t deliver product not worthy of their name. They seek to make an impact on their community. This company strives to uphold its values through both customer service and community outreach. They provide resources for their employees to donate labor to charitable events and organizations. They support food banks, charitable fundraising, and disaster relief programs. They have their own disaster relief program called H.E.A.R.T. (HoneyBaked Employee Assistance Relief Team), which provides relief to employees and their families during times of needed. They have also joined the Gary Sinise foundation in supporting first responders, such as police, EMTs, and firefighters. They have collectively raised over $2 million for these causes. On top of their community outreach, they have been recognized for diversity and excellence in the workplace. 1 How old do you have to be to work at HoneyBaked Ham?